Update: Of course we probably should have expected an English version of the video, but we didn’t have it at the time of this posting. We have added it below. Mario has been many things over the years, changing from frogs to clouds to raccoons via power ups, and just when we thought Nintendo couldn’t think of anything else, he’ll now be able to change into an adorable cat. But that isn’t the end of it, as this new video from Nintendo’s Japanese Youtube channel shows. 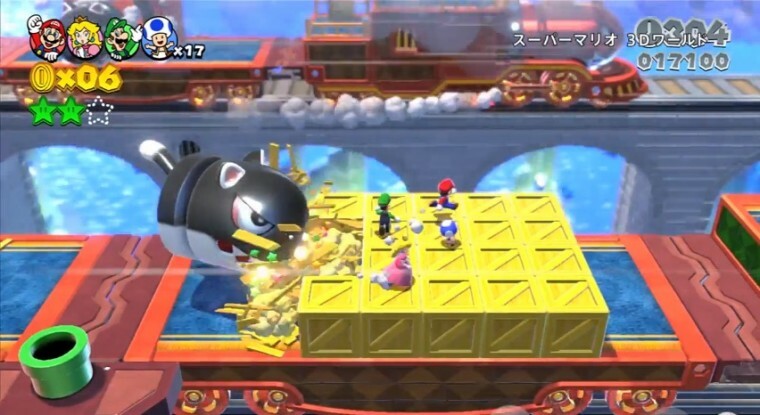 In Super Mario 3D World, Mario and co. will have a ton of powers and abilities. This six minute video is all in Japanese, but even if you don’t understand any of the words (apparently “Toad” in Japanese sound similar to “Pinocchio”), you’ll still get a ton of new information. Specifically, it seems like Mario can do SO MANY THINGS this time around. We knew about the cat suit, but new to my eyeballs were a cherry that creates Mario doggelgangers (up to five in the video), a slow, white, invincible cat suit, and several “blocks” that Mario can wear: one is a Bullet Bill block that lets Mario shoot projectiles; one is a flashlight; one is a coin block that releases tons of coins; and one a propeller block. Mario can throw baseballs at enemies, grab Koopa shells and then RIDE IN THEM, can hold Piranha Plants and let the plants attack, and can stun goombas and wear their carcasses as a hat. In addition to these newer things, Mario has access to power ups we definitely have seen before: Fire suit, Tanooki suit, Boomerang Brother suit (granted, if you want to get technical, he wore a Hammer Bro. suit in SMB3, but whatever), and the giant mushroom that makes Mario super large. It looks like there will also be special stamps you can find throughout the game that you can use when creating messages for the Miiverse, and when connected to the internet, Ghost Miis can show up in your stage to show you how other people beat the level. 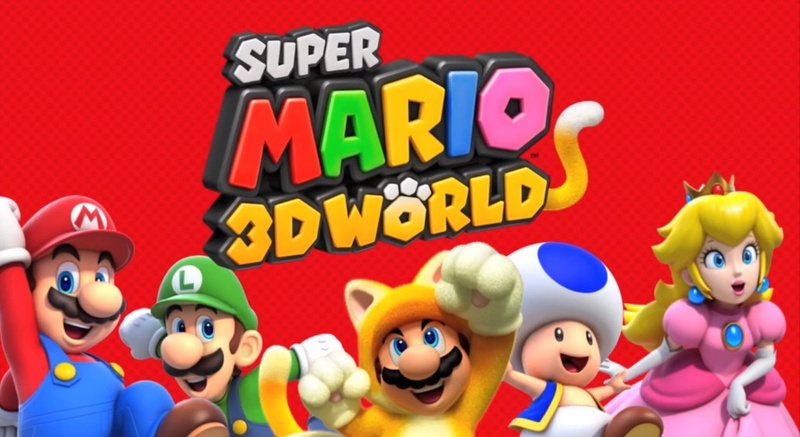 Super Mario 3D World is supposed to release in less than a month, on November 21st for Wii U.